As IoT continues to mature, intelligence will continue to be distributed from the Cloud to the physical edge on IoT devices. Sam George, Director of Azure IoT, will discuss the role and importance of edge in IoT and how Microsoft is helping customers take advantage of it. 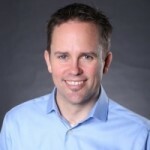 Sam George is the Director of Azure IoT, responsible for the Azure IoT Suite, Azure IoT Services and our IoT Device SDK. He has been at Microsoft since 1997 years and has spent time in all three engineering disciplines (development, test and program management). Sam spent most of his career as a dev manager, dev lead, or developer and in 2011 I switched to a program management leadership position. The function of the IoT Community, is to focus on the adoption & application of IoT in commercial environments, seeking to understand & contribute to applying the technology or overcoming the wide variety of barriers, inhibitors, and technical & operational issues. As a member of the board, Sam will provide impartial input and guidance to the overall vision, strategy and execution that is helping to shape the current and future direction for the IoT Community, as well as the broader IoT industry.